I need a new cell phone and I don’t like anything my provider is offering….. I need a new cell phone. I currently have a Razr and for the most part I like it but I have had it for a few years (Can’t remember when the first ones came out but I have a first generation phone) and some of the buttons are not working anymore. 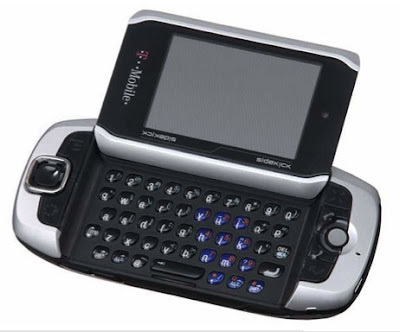 Even if my phone wasn’t acting up I think I would be switching since one of the things I like least about the Razr is that so many people have them. I am the type of guy who tries to be a little different from the “crowd” and while I don’t do this for the sake of being different I just kind a dig having different stuff. but I am really kinda leaning towards an unlocked version of the Sidekick since it isn’t available in Canada (Thank You EBay), look just like Veronica Mars…….and truly have no one else (or very few) people have and that to me is something cool. 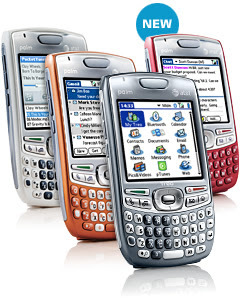 Anyone ever use a sidekick? is it a good phone? Then we switched to the totally corporate blackberry, and we love them. A bit smaller and lighter than the Treo, longer battery life?, easy to use keyboard (after a bit you can type without looking at the keyboard). And, depending on if your other friends own them, the BB messenger app is nice. There’s also a nice gmail client for it.